In a recent interview on Beneath The Mat radio show, former World Heavyweight Champion Daniel Bryan explained how he no longer is a vegan and the issues that arose from being a vegan in the first place. Bryan said that he turned vegan for health issues but lately he’s been getting sick all the time. His doctors eventually figured out that he has soy intolerance and had to change his diet. Bryan went over the difficulties of being vegan on the road and the limited amount of food you can eat when you’re traveling around doing this job. The former champion said that the vegan community has been pretty mean to him, bashing him on Twitter after it came out that he is no longer a vegan. Last year Bryan filmed a pro-vegan ad for PETA, explaining how his energy levels have been great since turning vegan and how he was stronger than ever before. 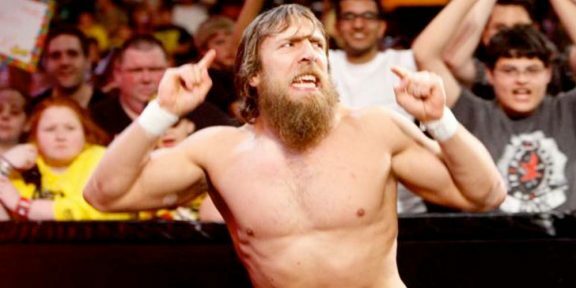 Will Daniel Bryan get the corporate look tonight on RAW?